The 1950s were a decade of change. Sputnik 1 launched, initiating the technological space race that continues today. Alaska and Hawaii became the 49th and 50th states. Jonas Salk developed the polio vaccine, and everybody from Chuck Berry to Elvis Presley taught Americans the meaning of rock ’n’ roll. 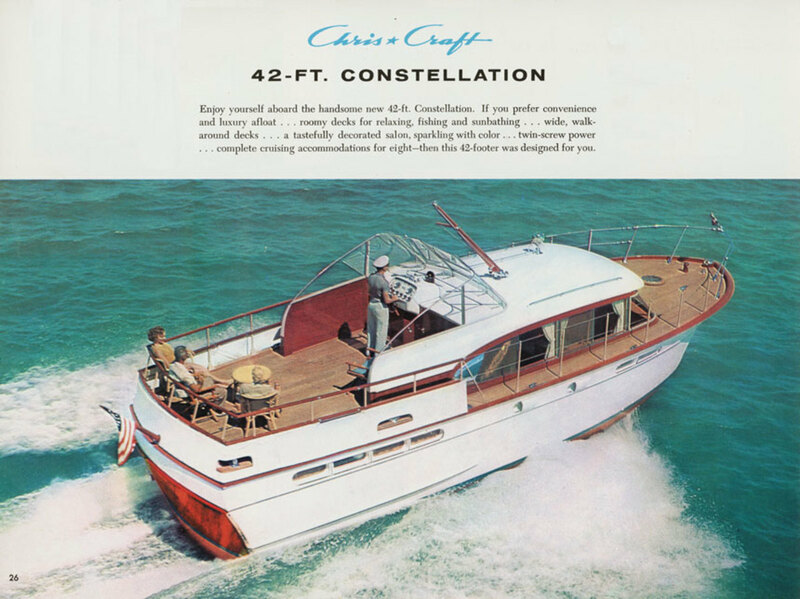 Boating, too, saw changes with the evolution of the cabin cruiser, which challenged the big cruising sailboat as the vessel of choice in postwar America. 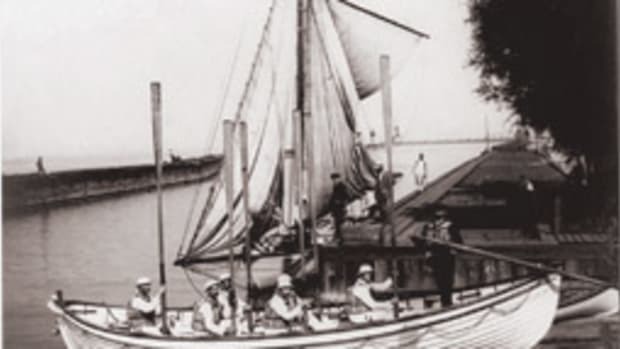 It’s not that cabin cruisers were new in the 1950s: Consolidated, Elco and other builders virtually created the boat type in the 1920s and 1930s, although sailboats still ruled for much of the early 20th century. World War II changed all that. When it was over, there was time again to get out onto the water, and a population eager to do just that. By the 1950s, new materials (including wood and adhesives developed during the war) and mass production techniques enabled builders to put cabin cruisers in the hands of the average (if modestly wealthy) man who wanted to go cruising with his family. Size had something to do with the cabin cruiser’s rise in popularity. 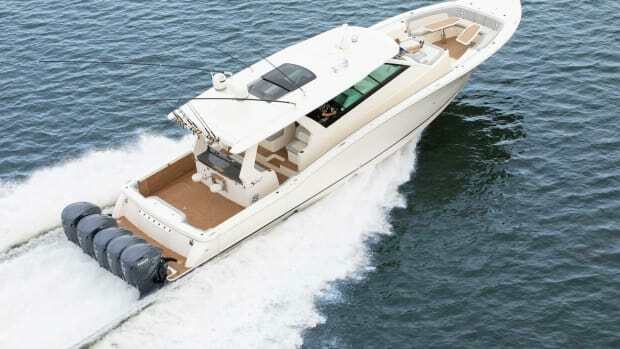 You could head out cruising more often in a trideck powerboat than you could in a sailboat of similar size because you had a flybridge with seating, an open aft deck for sunning, a cockpit with weather-protection curtains and a foredeck with seats for lounging. 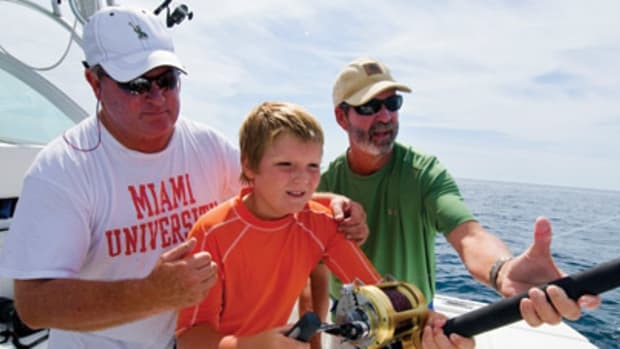 Inside, too, cabin cruisers evolved what it meant to enjoy a life on the water. Designers replaced bunks with queen-size island berths. Galleys had refrigerators instead of iceboxes. Salons had a couch, chairs, and an entertainment center with a radio for tuning in to music. 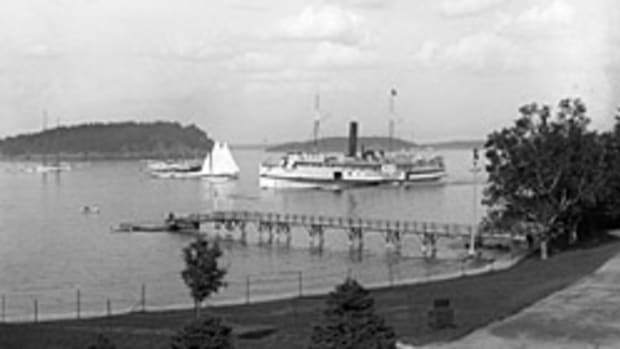 Boats got stall showers and heads that flushed—a big improvement over the 1930s, when one designer touted a cedar bucket as a head. The result of these evolutions was a more accessible, more comfortable kind of powerboat that laid the groundwork for today’s cruising boats. 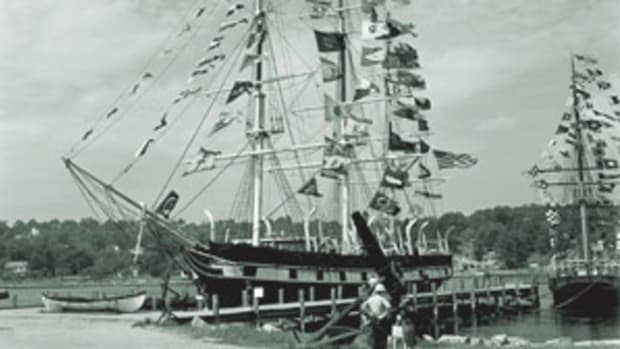 Back then, at least one advertisement said the cabin cruiser was “for enjoying family togetherness on board” and “a motoryacht for liveaboard luxury voyages.” Thank goodness some things stay the same.